M.A. program «Governance and Global Affairs» provides Russian and international students with necessary skills required for employment in international organizations. The curriculum best serves those students who are willing to become directly involved in politics, government or political organizations. Courses are designed to help graduates embrace their role as global citizens who are able and willing to be part of an international, multicultural environment. The program provides students with profound knowledge about contemporary politics, international diplomacy, governmental and legal systems, economics and international relations and security with focus on Russia. 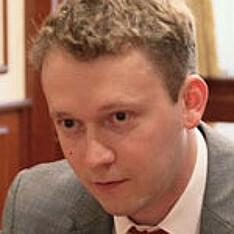 Academic advisor of the program: Vice-rector for masters and international programmes, Dr. Andrey Baykov. The curriculum of the program «Governance and Global Affairs» consists of core disciplines and elective courses. That allows each student to make an individual schedule appropriate to his professional interests and personal inclinations. The work is divided among lectures, seminars and workshops based on field research, participation by visiting experts, and group reports. For successful graduation students need to pass final exams and defend the Master’s thesis. 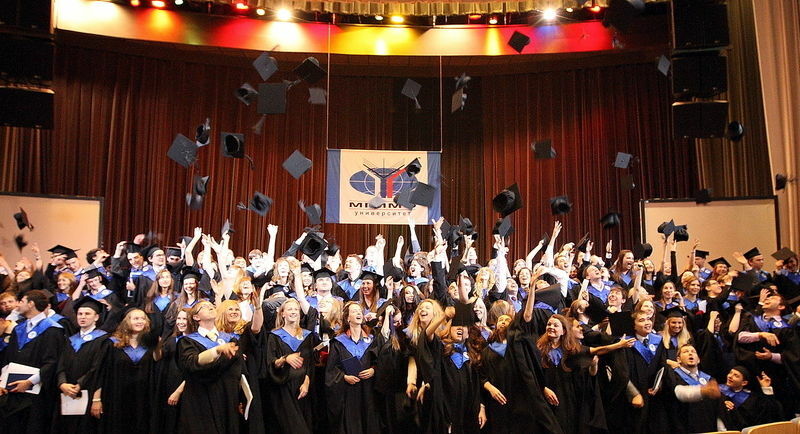 Upon graduation students are awarded Master’s degree in International Relations. Classes’ attendance is obligatory. Absence from 30 academic hours leads to expulsion. Students study for three semesters. The fourth semester is planned for internship and master thesis writing. Internship helps considerably to broaden the range of contacts and find employment upon graduation. Students take internship in the following organizations: diplomatic representative offices, UN bodies, EU bodies, Rosatom, RIAC, Rosneft, Lukoil, Eurasian Economic Union, Carnegie Centre, trade chambers, media, etc. When you complete a degree at MGIMO, you will join a global community of University graduates. You will benefit from careers opportunities and professional networking. Program graduates have employment opportunities in private and state companies, international organizations and NGOs, media companies, diplomatic service and academia, think tanks, universities and research centers. MGIMO graduates are in high demand by employers in business and industry. Students should initially apply for a double degree or full MGIMO degree and indicate it in their application forms. M.A. program «Governance and Global Affairs» includes double degree modules with Reading University (Great Britain), LUISS University (Italy), Geneva University (Switzerland). It offers the advantageous chance to study at two universities and get a master’s degree from both. Two Master’s diplomas from such well-known Universities provide our graduates with excellent opportunities for the future career. The curriculum of the program combines training in analytical methods and practical management skills to ensure that graduates are prepared to understand problems and implement solutions. The degree is a perfect preparation for civil and foreign service, non-governmental and international organizations, private firms and research. The Agreement on the Double Master’s Degree Program was signed between MGIMO and the University of Reading in April 2013, with the first intake in 2013-2014 academic year. The program is suitable for students with an interest in international relations and contemporary issues of international security. The first year at MGIMO students follow the curriculum of the Master’s Program in International Relations «Governance and Global Affairs» taught entirely in English. The MGIMO year begins with an intensive program in politics, international relations, security and economics. The second year students study at Reading, M.A. Program «International Security Studies», which is designed to enhance research skills in the area of security studies. The course explores theories and concepts relating to international and global security, peace and strategic studies, and conflict resolution. The University of Reading is a global university that enjoys a world-class reputation for teaching, research and enterprise. The University was established in 1892 as the Christchurch College of the University of Oxford and since then it has developed into a leading force in British and international higher education. It delivers a world-class student experience, research- led teaching and its graduate employability record is excellent. Students will enjoy the beautiful views of the surroundings of the main campus, which has received several awards in the nomination of the British ‘greenest’ university. Reading is ideal for those who plan to travel around Great Britain as it is located at the hub of road network and not far from London. For successful graduation students need to do three-months internship and write the Master’s thesis that will meet both Universities requirements. Upon graduation students are awarded two Master’s degrees. Our graduates occupy important positions in the international development sector, both public and private. With its unique combination of theoretical insights and hands-on managerial experience the program prepares professionals for careers in the increasingly interconnected fields of international governmental and non-governmental organizations and companies that work with these institutions. The Double Degree Program is designed for those students who are willing to become directly involved in politics, government, international relations and increase the career prospects by acquiring knowledge and practical skills relevant to international institutions. The second year is held at the University of Geneva on the basis of the «International Organizations Master of Business Administration» (10 months of study +3 months internship). The International Organizations MBA exposes students to the latest theoretical and applied knowledge combined with advanced management training. 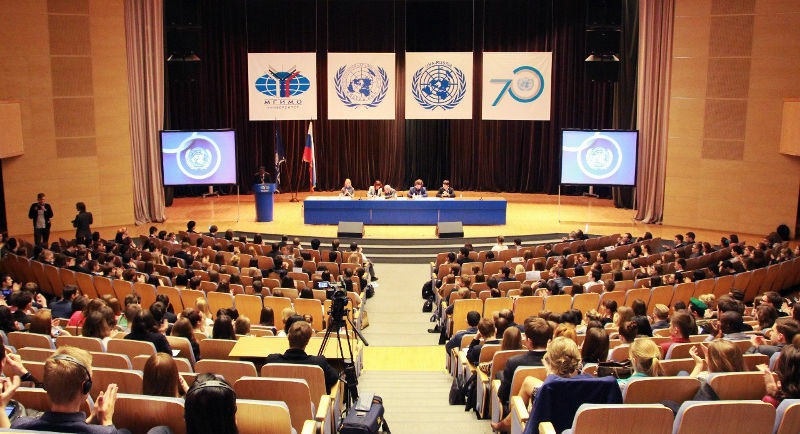 The program connects the organizations context with contemporary management tools and techniques and provides access to the United Nations and many other organizations in Geneva. It exposes students to the latest theoretical and applied knowledge combined with state-of- the-art teaching methodologies. Founded in 1559 the University of Geneva has a long-standing tradition of excellence and is one of Europe’s leading universities today. The international backdrop of Geneva gives the University a unique advantage and places it in the forefront of the world scene. MGIMO-LUISS Double Degree provides students with challenging academic experience and enhancement of academic profile. Program graduates have employment opportunities in government, international and political organizations, think tanks and research centers. The Double Master’s Degree Program ushers in a new level of partnership between the two Universities and offers innovative approach to education in the international relations field. ‘European Studies’ as well as ‘Relazioni Internazionali’ (in the Italian language) provide tools for understanding European social phenomena and the progressive growth of the role of supranational European organizations. Global Studies focuses on global issues that are markedly reshaping the international political landscape. Recognized for its academic excellence, quality control of its academic standards and international dimension of studies, LUISS University aims to achieve the high levels of distinction in transmission of scientific, technological, and classical knowledge. It is committed to promoting and arranging research activities, educating both professionally and culturally with a strong bias of innovation. Moreover living and studying in the heart of Rome will put students in touch with a centuries-long history and intellectual creativity. For successful graduation students need to take three-months internship and defend the Master’s thesis that will meet both Universities requirements. Upon graduation students are awarded two Master’s degrees. Approximately 30 students from all over the world are annually enrolled in the program which tends to attract applicants from a fairly diverse range of academic backgrounds. MGIMO played an important role in the early stages of my career simply by virtue of those five letters opening up so many doors for me in Russia. The university’s reputation is universally known and deeply respected here, which in turn enables ambitious students to leverage its name to their advantage if they’re professionally inclined to do so. Russians are well aware that some of their country’s most prominent political figures, including Foreign Minister Sergei Lavrov, graduated from this institution, as did leaders in the post-Soviet space such as Azerbaijani President Ilham Aliyev, so they hold it in the highest of regards. 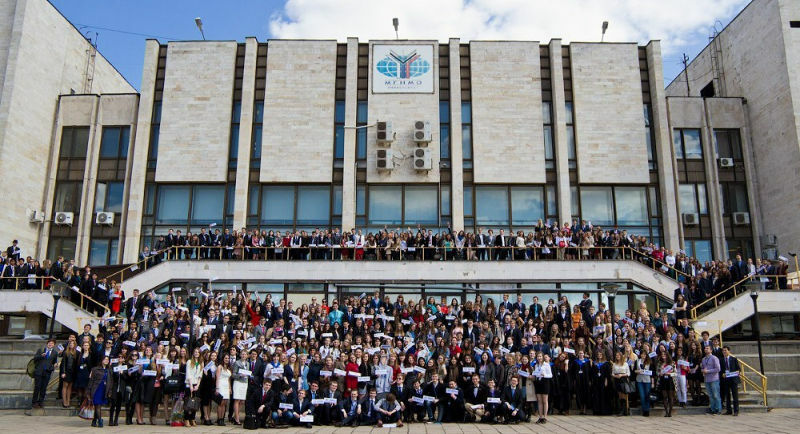 That’s why companies in Moscow are inclined to positively review MGIMO alumni’s internship and employment applications, thus boosting the applicant’s chances of successfully being hired and given the chance that they’re looking for to begin their career.